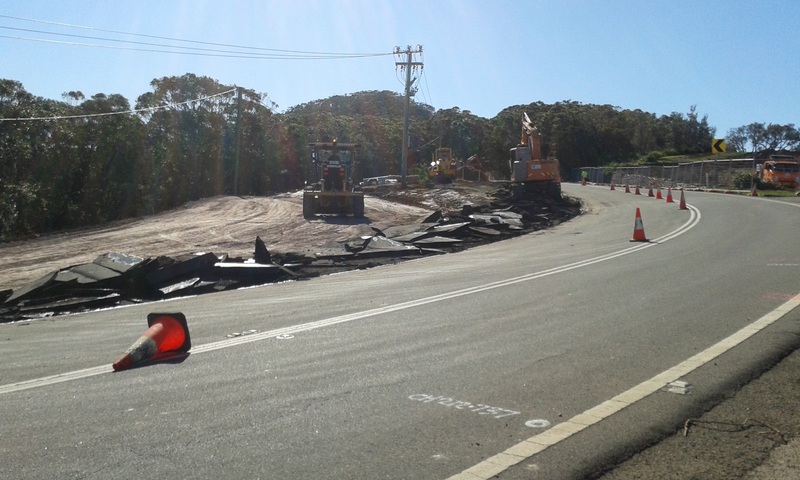 WORK on Bald Hill Reserve renewal project is progressing. 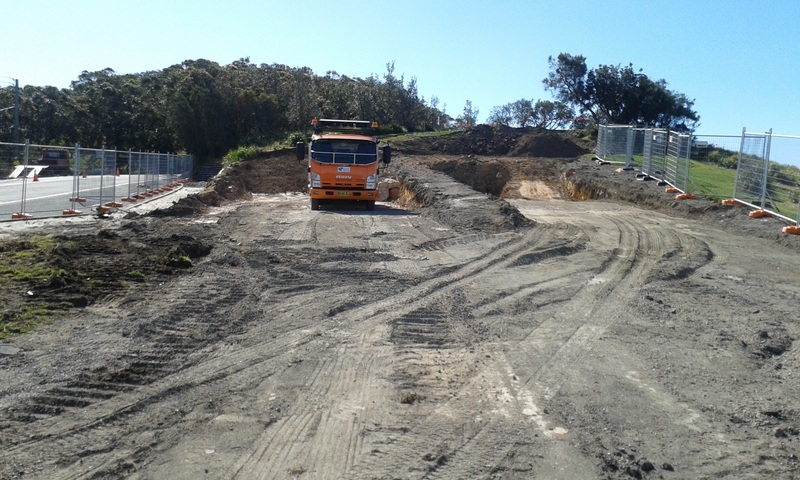 Recently, new stormwater drains have gone in under Lady Wakehurst Drive and Wollongong City Council is working on road widening, constructing a roundabout and extra car parking. At the top of the Reserve, the old amenities building has been demolished in preparation of the new facility that will be set into the hill and provide new toilets and a coffee offering. It’s scheduled to be built next year. The recently reconstructed car park is closed between 6pm-6am, and under traffic control during daytime. There is single lane – temporary traffic light controlled – access on Lady Wakehurst Drive until October 2015, weather permitting. A new roundabout will be built on Lady Wakehurst Drive into the lookout parking area.